blog — Snowshoe Candy Co. The new Home Sweet Home series at Snowshoe Candy Co is an effort to capture the stories of sweetness and wonder that comes about from homemade sweets. We are embarking on a new project and will be interviewing candy makers across the country, both home-scale and family businesses. Each feature will share a story of how sweets have created memories and their lasting legacy. To contribute your story, please send us a note at info@snowshoecandyco.com - We'd love to hear from you! Upon meeting Rebecca Ankenbrand of Sweet Minou Chocolate, it's immediately evident that chocolate making is much more than a hobby for her, it's a lifestyle. Sweet Minou is a brand of Cultiva Labs, a coffee roaster and cafe in Lincoln, Nebraska. A seemingly uncommon duo, it's quick to see how coffee and chocolate making are compatible: both rely on beans grown abroad, roasted with care to capture and accentuate the intricacies of their flavors, and ground into a product that is consumed ritualistically by people around the globe. And both are experiencing a sort of renaissance in craft production. A force of dedicated crafters around the world are sourcing high quality, sustainably sourced ingredients and reshaping the way we enjoy these otherwise common treats. For those of you who have yet to try bean-to-bar craft chocolate, it's an experience that may just change your relationship with chocolate. Much like coffee, not all chocolate is created equally. Much of the chocolate that we're exposed to in the US is made with an assortment of beans ranging in quality, often a bulk of which are "filler beans" which don't impart particularly unique flavors but build the bulk of the product. In the industrial chocolate industry, the emphasis is on creating a uniform product that can be replicated time and time again. With Sweet Minou, Rebecca sources beans directly from farm cooperatives in Guatemala, Haiti, Bolivia and the Dominican Republic. With each different bean, variances in size, shape and color are noticeable even to my untrained eye. When the beans arrive at Sweet Minou, it is after they have already been harvested, fermented and dried with care by farmers and cacao cooperatives. "The credit goes to the people who grow and process (the beans)," Rebecca states humbly, "if you start with good beans, you can make great chocolate if you curate it properly." Rebecca describes in detail the different flavor profiles of each bean that will shine through when roasted, ground and tempered into the final product, a process that takes up to 4 days. 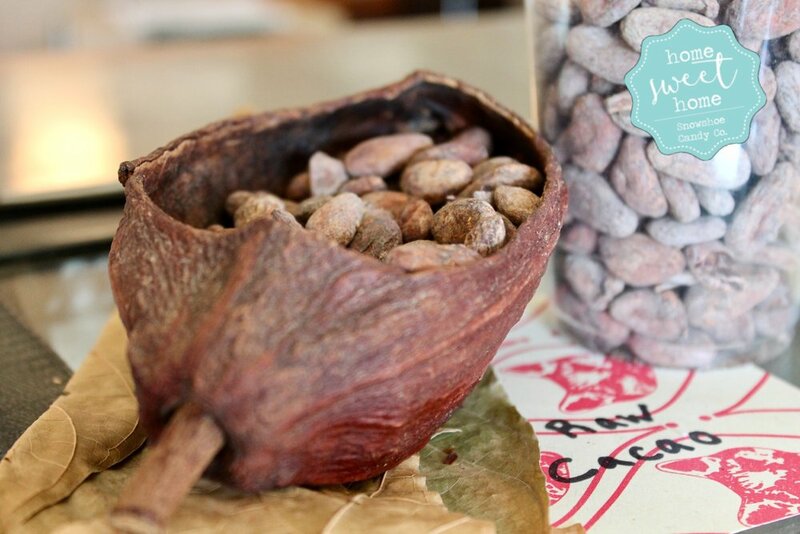 With each opened bag of cacao beans, a unique fragrance wafts into the air, rich and full of the flavors to come. Once the beans are processed into a paste and combined with cocoa butter to boost the smoothness, Rebecca carefully crafts single-origin bars, blends and chocolate confections including filled bars, truffles and bonbons. She adds additional ingredients with care to compliment the rich profile of each chocolate. "It is special to have access to good beans and be able to bring those flavors to people," Rebecca says, "It's really moving when people try the chocolate and it doesn't taste like chocolate they're familiar with and they say, 'This is amazing, I didn't know chocolate could taste this way!'" If that doesn't spark your interest, I don't know what to say other than keep reading, there's four more reasons to love craft chocolate! Dark chocolate is actually healthy for you! The rich and elaborate cultural intricacies of chocolate date back to 1900 BCE to Mesoamerica where the Mayan and Aztec consumed chocolate, not in bar form, but as a part of their rituals in liquid form; as a sacred substance. It has been used in spiritual practices, as medicine and as currency. To date, chocolate remains a vital part of many Central and South American communities. This history intrigued Rebecca to learn more and in 2013, she traveled with her dad and a group of chocolate enthusiasts to Belize, touring cacao farms, meeting farmers, and learning the art of chocolate as a sacred beverage. On this trip, she connected with what would become Uncommon Cacao, the company that Rebecca now sources her beans from. 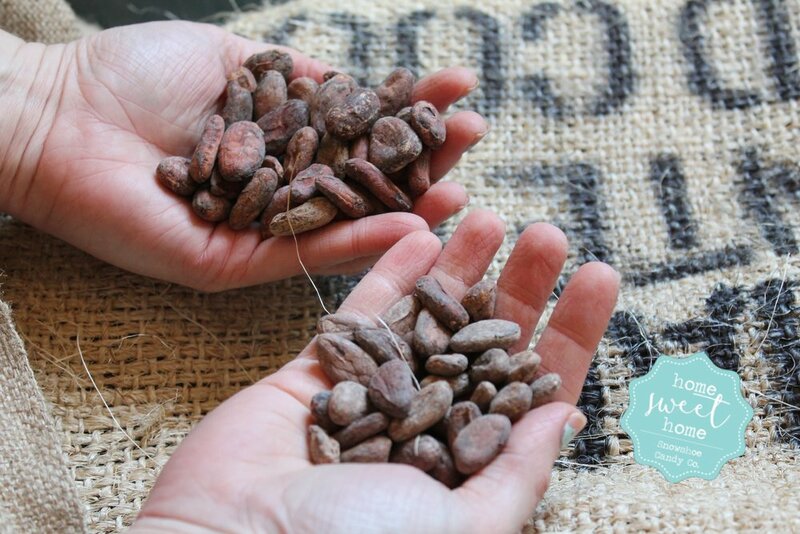 Uncommon Cacao is dedicated to trading transparently and ensuring ethical sourcing. As Rebecca points out, the power of chocolate is its ability to "support and sustain lifestyles and cultures in small communities." Theobroma cacao, or the cacao tree, is native to tropical regions in Central and South America and grows as an under-story crop. Agroforestry is a form of agriculture that incorporates the cultivation and conservation of trees. Because cacao relies on a healthy canopy of trees, there is incentive for cacao cooperatives to protect the native rain forests. Unfortunately, many tropical crops including palm, bananas and coffee varietals are attributed to massive deforestation as the crops may produce higher yields on cleared lands. Even some large scale cacao producers are resorting to clear-cutting areas for intensive plantings, even though the long term yields per plant are lower. Deforested areas have a ripple effect on our environment, with top soils subject to run-off and washouts, loss of tree cover removing wildlife habitat and communities exposed to economic deterioration. Uncommon Cacao maintains quality production and processing standards that regulate the growing conditions and provide technical support to farmers to improve their growing practices and ultimately their yields. In doing so, the rain forest that is so vital to the health of our planet is managed and protected by the many farmers sustainably cultivating cacao. Your money is invested into something you can believe in, which is pretty sweet! Unlike the anonymous candy bars at the checkout counter, hand-crafted chocolates (or any food, really) produced with intention connect us to a greater food community. I know for me, when the supply chain spans the globe it is easy to forget the faces behind the process. For Sweet Minou, one of the biggest challenges is the "push back because people don't consider paying more for chocolate" despite the good reason for the price difference; namely, the sustainable supply chain that Sweet Minou sources from. While it costs more than your generic chocolate, it is with good reason. When we take the time and intention to connect the dots (or support local businesses that do), we remember that there are humans behind the production process. When farmers are paid living wages and their communities are supported through the sales of their crops, we all benefit; communities thrive, the environment thrives. Suddenly our chocolate treat turns into something sacred, something to savor. It connects us to the rich history of people who consumed chocolate as part of celebration and spiritual connection for thousands of years. Its flavors grow in depth and provide us with an experience unlike any we've experienced before. For me, there's nothing sweeter than enjoying a piece of chocolate that was made in this way, with regard to all the hands that moved it through the process from bean to bar. A special thank you to Rebecca Ankenbrand for taking the time to share with me the "interesting and weird world" of chocolate. We're thrilled to be going into the 2017 candy season sourcing our chocolates from Sweet Minou! The flavors and quality of their chocolate is truly remarkable and pays homage to the rich history and culture of chocolate, while supporting a sustainable relationship with contemporary chocolate; via fair wages to the farmers, sustainable growing practices and supporting another local business. We can't imagine a sweeter combination. This is part of the new Home Sweet Home series at Snowshoe Candy Co. In an effort to capture the stories of sweetness and wonder that comes about from homemade sweets, we are embarking on a new project and will be interviewing candy makers across the country, both home-scale and family businesses. Each feature will share a story of how sweets have created memories and their lasting legacy.